The weather is not showing any signs of improvement and although everything looks beautiful covered in snow, going outside does not sound like a very pleasant idea - Yes, I'm cold all the time! So, what have I been doing (apart from my normal work, of course)? Right, I bought two wonderful vintage sewing patterns on ebay which I am looking forward to get in the post. They're for skirts and dresses from the 1960s! OK, I am not a sewing expert (yet!) but the idea of being able to actually produce my clothes makes me very happy. Especially those ones... I love the fact that I'll be using an old sewing pattern that was published two decades before I was born :) Great! Just have to pick a nice fabric and crack on.Which means I've also been looking at lots of fabrics websites - they tend to be cheaper online. 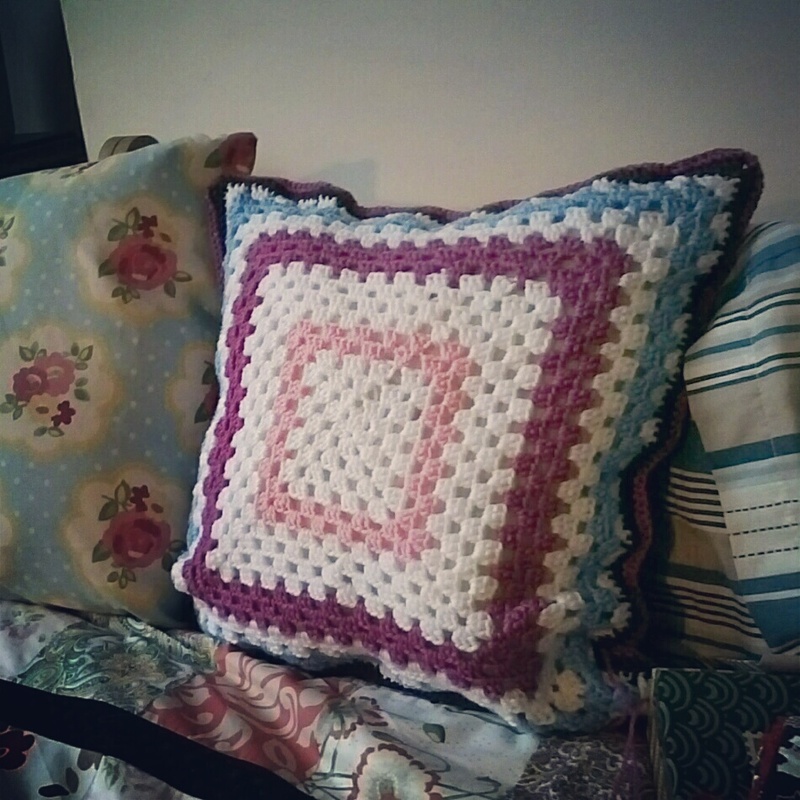 The photos above show both sides of my granny cushion, which I've only finished today. This took me a bit longer than I expected but I like it nevertheless. Might try and make a round one next time. 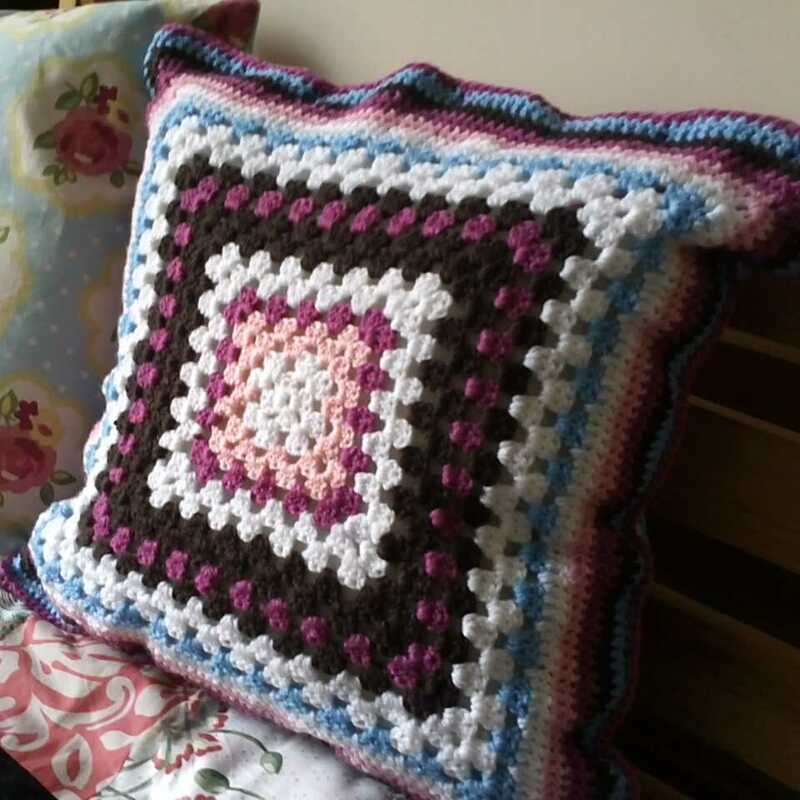 I read somewhere that one can never have too many granny pillows... Oh that is soooo true.